All bodies to the front. This may come as a surprise, but we are not fans of that phrase. 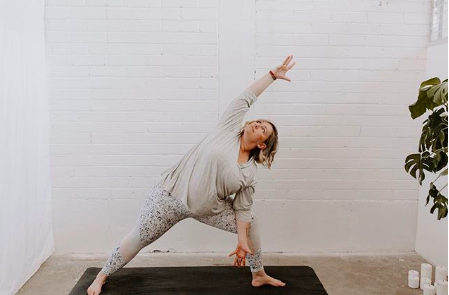 “Yoga body” implies that there’s only one type of figure that’s well-suited to hitting the mat, or that your yoga routine is only worthwhile if you have a particular set of muscles or curves to show for it. To all of this, we say… false. Kady Lafferty is the woman behind Big Booty Yoga, and she’s firmly on our side of the “yoga body” argument. 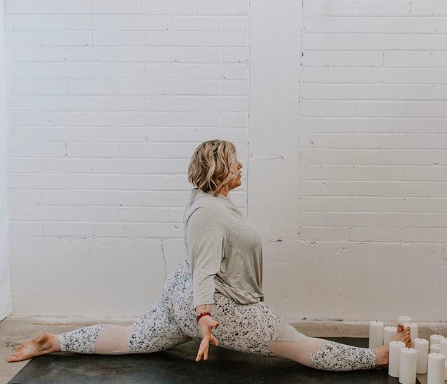 She’s built her own brand around making yoga more accessible to everyone (cheers to that!) 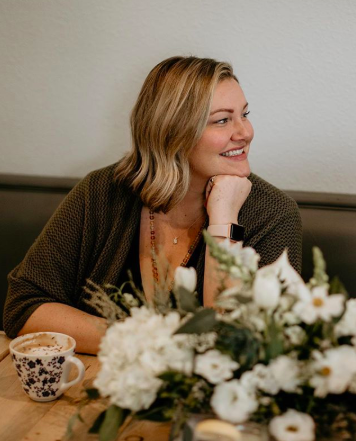 and you can catch her as a guest leader at our Boulder studio. Keep scrolling to learn more about Kady and Big Booty Yoga. 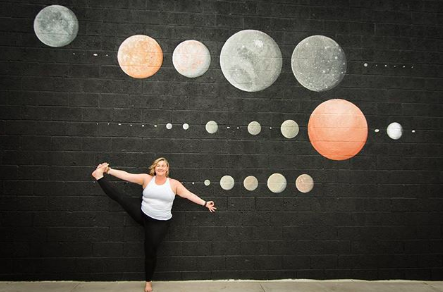 Q: How did you get started on your journey with yoga? A: Before stepping on a yoga mat, I worked in social work. Many years of high stress and vicarious trama had left me anxious, drained, and exhausted. I stepped into my first yoga class and started a path of healing and health through movement and yoga. Q: What happened next? How did you take it to the next level? 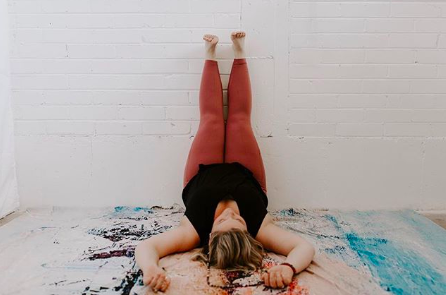 A: After years of practice and becoming a yoga teacher, I realized how inaccessible and “one size fits all” the industry was and how exclusive it can feel. 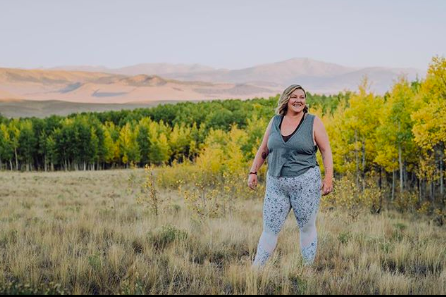 I started Big Booty Yoga, a body positive yoga brand intended to break the stereotype one chubby chatarunga at a time. 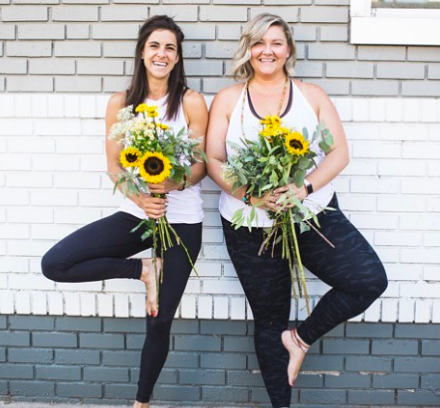 Q: What is unique about Big Booty Yoga’s message? What do you want people to know? A: The fitness community can feel intimidating. 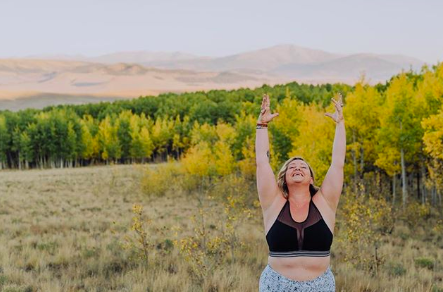 Big Booty Yoga is here to remind people that there is no such things as a “yoga body.” We offer Yoga for Larger Bodies, music-themed classes like NamasBey, affordable and accessible retreats, and more. I want the practice to feel more inviting to a broader range of people. Movement can be welcoming and fun! Q: How has yoga helped you reach your personal fitness goals? A: For me, yoga is as much a mental practice as it is a physical practice. As a plus-sized person, I assumed my body wasn’t capable of much… boy, was I wrong! By pushing my limited beliefs about my body’s capability, yoga has allowed me to change what I think I am capable of. Now, I not only practice yoga, but work out and lift regularly. I love it all! Q: What would you say to someone who believes that yoga can’t be a good workout? A: Yoga pairs so well with many forms of physical fitness. Our bodies can be worked while lengthening and giving extra love to the places that often get overlooked. And — if you want science in your face — in order to perform at an optimum physical level, our bodies need to learn equilibrium and come out of flight or fight mode. That happens when we stimulate the parasympathetic nervous system. Guess how we do that? Breath! 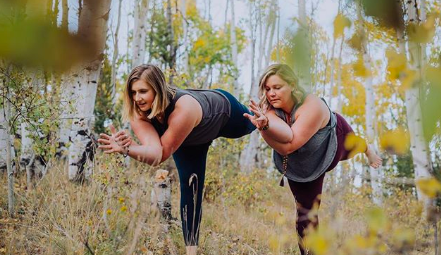 Yoga! A: I feel strongest when I am standing up for what I believe in. It can be hard to speak up for fear of confrontation, but when I see something that ethically feels wrong to me, standing my ground and speaking my truth is the most empowering feeling. Q: What inspires you in your ongoing health and wellness journey? A: Community! I would never be where I am physically or on my self-love path if it weren’t for a killer community that believes in me more than I do. Surrounding myself with amazing people propels me to do better. Q: What words of wisdom would you offer to bulldoggers who are focusing on their own health and wellness? A: So often with fitness and wellness, we focus on what it is we need to change about our bodies. I think that focusing first on what we already love about ourselves is incredibly impactful. Then, growth can come from a place of love rather than shame. What do you think of Kady’s message? Tell us on Facebook + Twitter!